I have officially taken a half year hiatus from writing about my travels and eats. And now I'm back to it, with a post about a restaurant that had been on my bucket list in NYC ever since I moved here at the end of September: Raclette. My first exposure to raclette cheese was back in 2011, when I was studying for a month in Switzerland. This Swiss cheese is usually melted and "poured" over a selection of meats, potatoes and pickled vegetables. I was addicted after the first time I had it. So I was so happy to have finally made my way to Raclette in NYC this past weekend. We started with a tartine that was practically overflowing with curry-packed cauliflower. It's a perfect, light appetizer to start out with before diving into one of the most spectacular cheese in the world (in my opinion). Instead of using a tabletop raclette machine, which is often done at home, the establishment heats up the surface of half a wheel of raclette and serves it tableside by scraping the melted portion over a platter of your choice. I was mesmerized by the cheese oozing all over my vegetables. Healthy, right? Ooey gooey raclette being scraped onto a Mediterranean platter tableside. Because raclette itself is not enough, we had to order the three-cheese mac and cheese with a very rich Mornay sauce. The best part was the light crunch of the panko cutting through the luscious cheeses coating the noodles. At this point, I should probably mention that if you are lactose intolerant, you should definitely take a lactaid pill before heading here. The most traditional way to consume raclette is with potatoes, pickled cucumbers, and pickled white pearl onions. Raclette NYC serves it all, and if you like cured/dried meats with your cheese, make sure to order the Complete Suisse platter. The best part is, you can choose to try other types of raclettes, such as truffle or infused with white wine. We chose to stick with the raw milk raclette at the time, but I can't wait to head back to try the others! Raclette cheese is best shared with friends, so it's a great place to meet up with friends. They also have personal dishes like the burger and sandwiches, so if sharing is not your thing, it's ok! The restaurant has all the features of the perfect date place, but you may have some issues hearing your date because it is extremely loud. For me, raclette is best paired with a white wine like a bottle of riesling! So make sure you take a look at their short but well-assembled wine list. 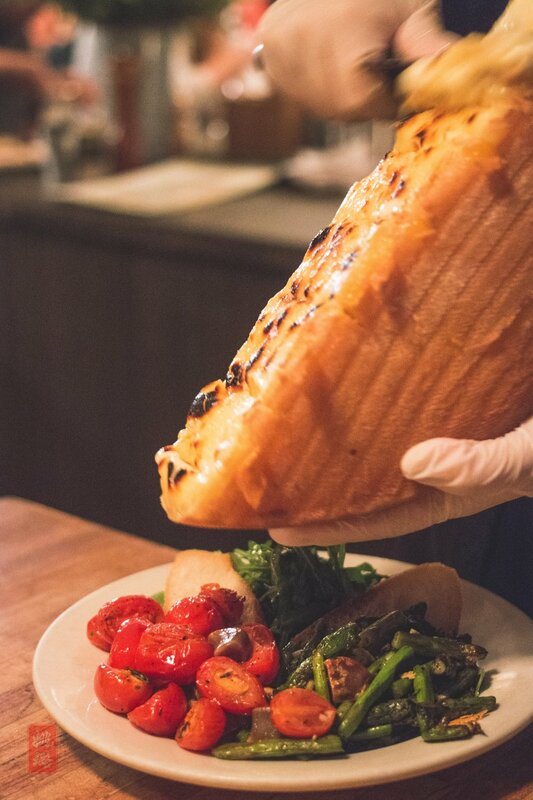 Raclette NYC is very vegetarian friendly! Make a reservation - they get pretty crowded, especially on the weekend.